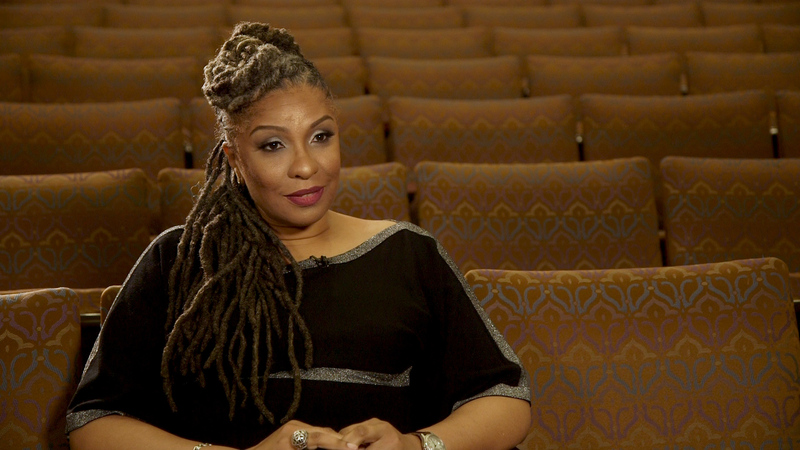 The Sizzle Reel Xs and Os of Race/ism: A Docu-series from Leah CK Lewis on Vimeo. Q: How did you become involved in racial justice organizing? I grew up here in the city of Cleveland and I was born in the mid '60s. At that time most of the African Americans lived on the east side and a lot of people of European descent lived on the west and seldom did African Americans cross the river. When I went to high school, I got exposed to racism for the first time in my life. Prior to that, as a child, I had watched a film called Roots. That's where I became exposed to this concept of the ideology of white supremacy and African inferiority -- it really captured the violence of U.S. chattel slavery. That was the first time in my life where I saw people treated in such an inhumane fashion simply because of the color of their skin, and it made an indelible impression upon me. When I went to high school and had a firsthand experience with racism, it changed me in ways that I had not anticipated. I was raised to have a pure appreciation for human beings, so to experience racism, though it changed me, it did not take away from my humanity and my respect for the human race. Because I see racism as a pathology, I'm dedicated to doing work that will help people come to terms with misinformation and misnomers, and to help people come to terms with their own social ills and fears. That's why I've decided to do work surrounding race. Q: What are you making and what do you hope it will accomplish? We are working on a docu-series, which means it's going to take a long time to get this done. 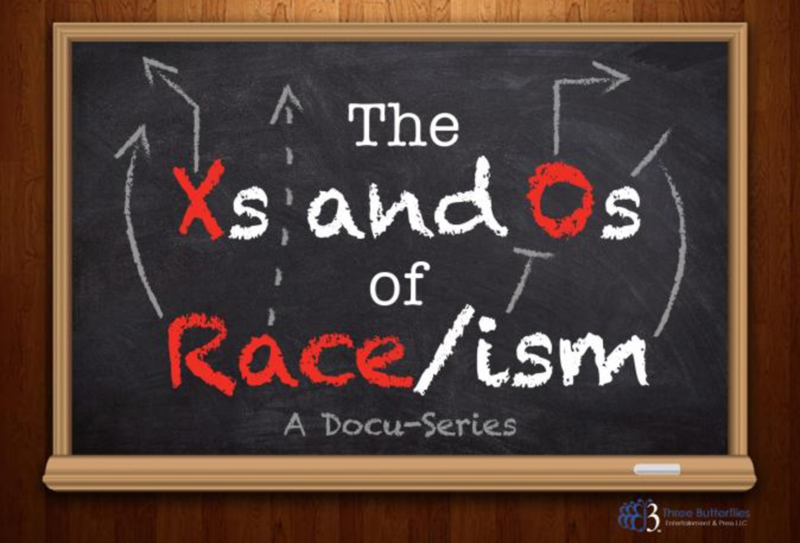 The docu-series is called The X's and O's of Race/ism. We're intending it to be a five part series where we look at the concept of race and racism through the lenses of African Americans, Asian Americans, Hispanic Americans, white Americans, and then on the fifth installment, we really want to focus on a celebration of multiculturalism and diversity. The docuseries is going to critique law, rhetoric, and science as it pertains to this conception, this social construct, of race. Q: Why film as a medium? When you organize, sometimes the impact is really not as great as you hope. Media is a whole different beast. It has global implications. It is passively engaged, meaning people just take it in. We know that there is media that is passive and destructive. I want to do work that is passive yet constructive. I really want to be able to change people's perceptions and their knowledge base. There's something about film that allows us to really hone in on new information and to gain new perspectives. It can also be really captivating. Because of the visual component, it can really draw us in. It can really impact us in the heart as well as in the head. Q: Why tackle racism and why tackle it now? The history of racial oppression in this country is long, from the construction of race, to the legal construction of slavery, to its dismantling, to reconstruction. There was this period after the emancipation of the enslaved when it seemed like maybe this country would fulfill its dream, only to have that dream stripped back once more. For every step we take forward, we seem to take two, three, four, or five backwards. I'm deeply concerned about where we are today. This hatred and the fear that has embodied and taken over some portions of the American population is quite terrifying. We don't want to become Nazi Germany but there seems to be signs that if we don't pull back and take a different course of action, we may be heading down that road. Q: These are universal themes, but you still consider this a Cleveland project. Why? It's definitely a Cleveland project. I've relied on ioby, who supports a lot of entrepreneurs and activists here. I've relied on the Greater Cleveland Film Commission. They have a great database where I can tap into and find film professionals. That has been a tremendous resource for me. I’ve relied a lot on my network here, which is pretty vast but because I've moved from the church into politics and now into entertainment, I'm meeting people that I've never met before. I'm finding that the community, whether it is the business community or the foundation community, is interested in the work that I'm doing. We have to build upon that interest to get the resources we need. It's challenging though, because this is not an entertainment town. Cleveland is a town where you have a ton of boomerangs, those of us who have left and then come back. We’ve suffered greatly over the last five decades or so -- at one point we were referred to as America's armpit, and called “the mistake by the lake.” There is something about this city, though, that produces really outstanding and exceptional human beings. I am a product of Cleveland. My education and my intellect and my creativity were forged in this city. I think there are a ton of us who return understanding how blessed we are, how gifted we are, and we're determined to make a contribution to move this city forward into the 21st century. I do feel very deeply an obligation to this city and to men, women, boys, and girls who have been disenfranchised. They have the skills, and they have the desire, but simply need an opportunity. I think that there are other individuals in this city much like myself, who feel deeply invested in this town and who are committed to creating those kinds of opportunities for our fellow Clevelanders. Q: What were some of your key steps? The first step was to write what's called a treatment. That is an overview of the project, of what you want to accomplish. Then once you write the treatment, you need to write a one page synopsis to trim it down, to be able to communicate to people what the project is about in a very concise fashion. You then need to look for grant sources because as a documentary filmmaker you've got to get it done. How do you get it done without financial resources? We reached out to some entities, we're forging relationships and we're getting the funding. As you're reaching out to the grant sources, you then need to find a production accountant -- somebody who can put a budget together for you. One of the things I've learned is you need someone who is a specialist, who knows how to do a budget for documentaries. Then you need to make sure you have your film crew. You can do this as you raise money, so when you're ready to shoot, you'll have everybody in place to do what you need to do. You need to find skilled collaborators, so you always ask for someone's reel. You view their work and you get a sense of whether they have the skill, whether they have the point of view that you’re looking for. Does their work really resonate with you? There have been a couple of instances where people have sent me reels and the reel just didn't speak to me, whether it was their skillset, or what they chose to film. Then you need to begin to figure out who you want to interview. What questions are you going to pose to them? Where are they located? Are they credentialed? Is this someone who will be respected once they get on camera? Or, is it a grassroots project where you just want folks from the community? Even they have to be credentialed and they have to understand the subject and the topic that's at issue. Then you begin to shoot. Then you shoot, shoot, shoot, shoot. You take a lot of film because you never know what you're going to need. In doing a documentary, even though you have your treatment, you have to remain open because you don't know where the interviews are going to lead you. There certainly are going to be people who we interview who will give us insights. Those insights may cause us to tweak things a bit, or to take an approach that we didn't anticipate. Editing is going to become important. I'm going to need a topnotch editor to do this. After the documentary is shot, we need to find a distributor for it. We have to decide are we going to approach this from a television broadcast standpoint, or are we going to try to take it into film, into theaters. That's kind of the process, streamlined. There are many more steps involved but that gives you some sense of how involved it is. Q: What would you tell someone who wants to use film, or any type of storytelling, for racial justice? For any type of storytelling, I would say speak from the heart, that's what matters most. We have to be compelling. I think you're compelling when you are honest and when you are authentic. Creatives have to be pretty strong in their own opinion. I don't think you can do this kind of work and seek to pander to others. When you do that, it that puts you in a different arena, and that's about manipulation and that's not art. Q: What would you tell people about how to avoid burnout or feeling overwhelmed? Burnout, I think, is a very real issue for all of us. When you talk to people who do ministry, as I have done, or people who are doing social justice work, and activists, you deal with the reality that you're swimming upstream. You're swimming against the tide. That, in and of itself, is exhausting. Self care matters. If you're able to get massages, do that on a regular basis. If you need to burn incense, do that. You've got to tap into the things that you enjoy. If you're a painter, if you like to walk, if you like to cycle, if you like to work out, do it. The things that we love are the things we need to cling to and use as outlets for the stress that we face. We also need to have relationships with people who are happy, healthy, whole, and high functioning. Those are the types of relationships we need to invest in and the types of relationships that will buoy us in those very difficult times. Q: What do you wish you’d known at the beginning of your journey? Whenever we take on a task, we need to do as much research as possible. That research may be textual, it might be about reading books. It may be interpersonal, it might be about having conversations with people who are impacted by the subject that we're going to take on, or who have worked on the subject. I also think we need to forge relationships that can be beneficial to the cause but also personal. Had I known that doing a docu-series was so tough, I'm not sure that I'd take this on, but I'm going to do it. I want to do it. I'm inspired to do it. I don't know if I feel like there's anything I wish I had known, because I believe I will acquire the knowledge that I need. I think every day provides us with an opportunity to get questions answered. Leah is Founder and CEO of Three Butterflies Entertainment & Press, LLC, where she produces entertainment and educational programming grounded in authentic multiculturalism. Driven by constructive action and committed to healing works of all sorts, Leah is passionate about bridging relationships between people and institutions for creative community endeavors. A former negotiator of international currency agreements for international financial concerns, she’s also served her community as a pastor, councilwoman, professor, community organizer, managing editor, event producer, and media commentator. She has degrees from Howard University School of Law and is receiving her Doctorate at Ashland Theological Seminary in Ohio in May.